Recently, two cars have been tested to see which is better. 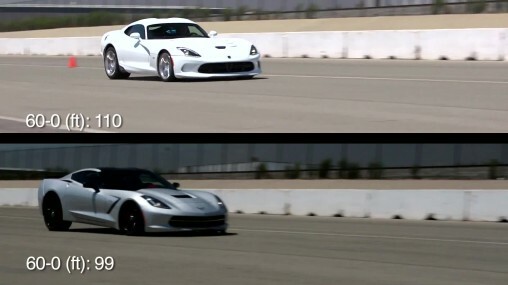 A 2014 Chevrolet Corvette Stingray vs a 2013 SRT Viper Coupe. Both cars are fast, and both cars are known for its lethal speed and power, but which is better? To find out, Edmunds guys take both cars to the track for performance test. The test includes – slalom runs, skip pad ratings, 0-60 mph launches, braking distances & quarter mile times. The 2013 SRT Viper Coupe comes with a big 8.4-liter V10 engine. The engine also has a lot of power in it. The car can produce up to 640 hp (813 Nm) and while doing a test for 0-60 mph, the car managed to reach that in 3.7 seconds. 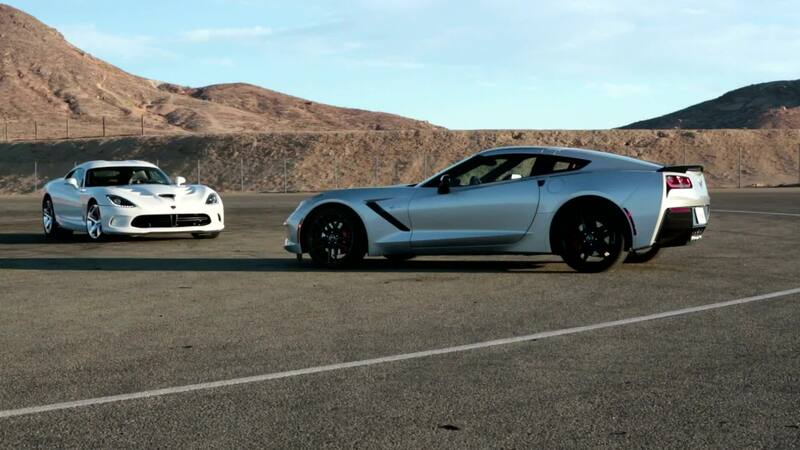 The 2014 Chevrolet Corvette Stingray has a smaller engine than the 2013 SRT Viper. It has a 6.2-liter V8 engine and generates up to 455 hp (624 Nm). The car is also lighter by 140 kg than the 2013 Viper. However, it’s obvious that a weaker engine produced weaker results for the 0-60 mph test. The car managed to do 0-60 mph in 4.3 seconds, so the 2013 Viper wins in this one. 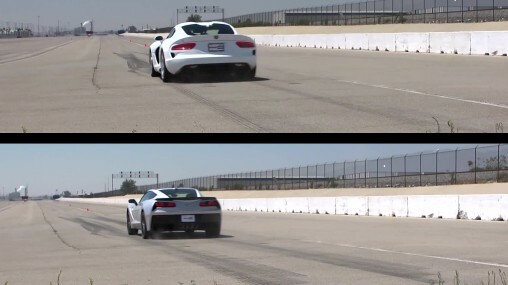 However, the Corvette should do 0-60 mph in less than 4 seconds — maybe the conditions were poor that day. 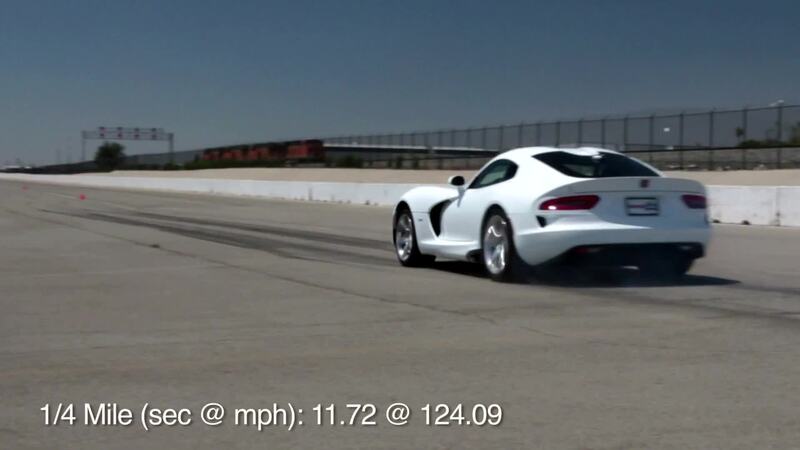 The 2013 SRT Viper Coupe wins again when it comes to a standing quarter mile test. The Viper managed to do that in 11.72 seconds at 124.09 mph. 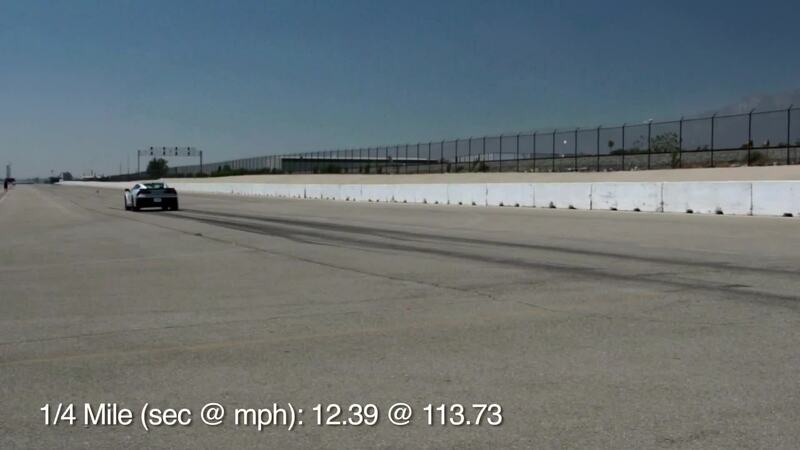 The Corvette managed to do that in 12.39 seconds at 113.73 mph. 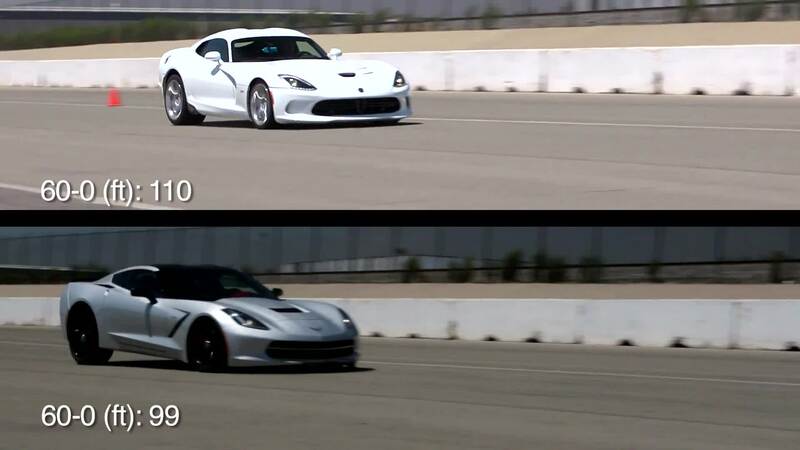 You can clearly see that the 2013 SRT Viper Coupe wins in the straight line, but when you need to make some corners, the 2014 Chevrolet Corvette Stingray wins all the time. The 2014 Chevrolet Corvette Stingray wins all the rest tests where you need to make a turn. Also, it wins the brake test too. The car can stop within a shorter distance than the Viper does. 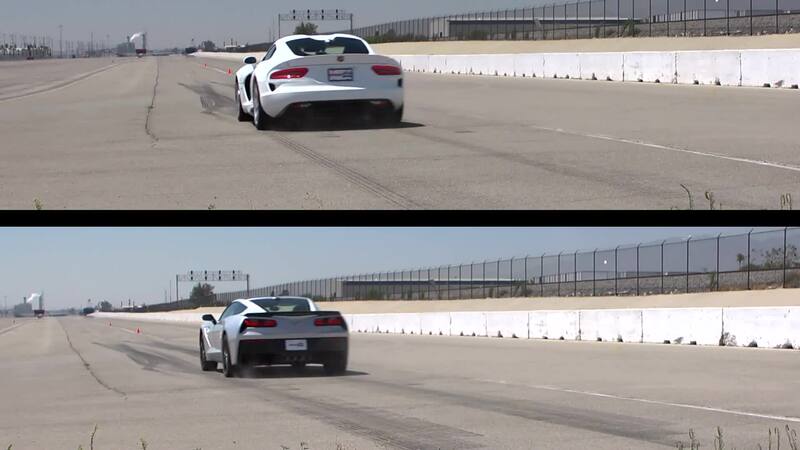 The 2014 Chevrolet Corvette Stingray used in this test costs 70,000 USD ($). The Viper costs 102,000 USD ($). So which car to choose? Well, if you want a fast car for 0-60, you probably should choose the Viper, because it’s clearly faster than the Corvette. However, the Corvette is overall a better sports car if you sum everything in one place. So once again, which one to choose? Choose which you like the most, because both cars are super great cars, but if you need that extra edge, well, go for the Corvette. Check out a video below and see by yourself how everything went down.